Thanks to the Wyndham Grand Clearwater Beach for hosting my family. All opinions are 100% my own. As soon as we walked in to our room, my girls jumped for joy at the sight of the bunk beds. It doesn’t matter that my oldest daughter has bunk beds in her room at home. There was something about having them in our hotel room was very different and exciting. If you want to splurge a little, you can even book a stay in one of the Winter Rooms. 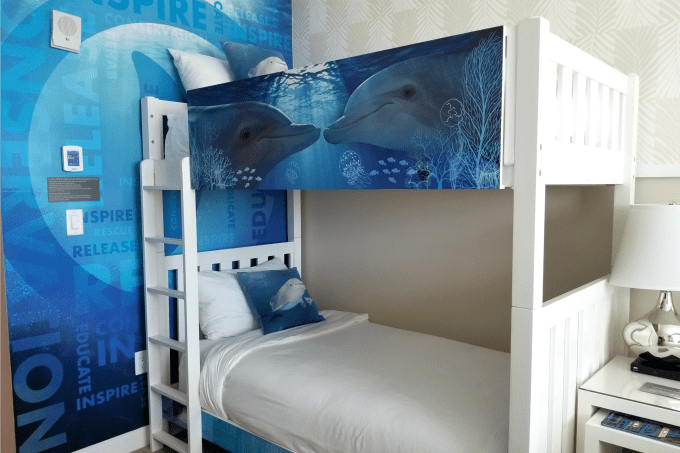 These rooms feature murals of Clearwater’s most famous dolphin, Winter from A Dolphin’s Tale. You’ll really feel like you’re at the beach when you stay in one of these beautifully designed rooms. 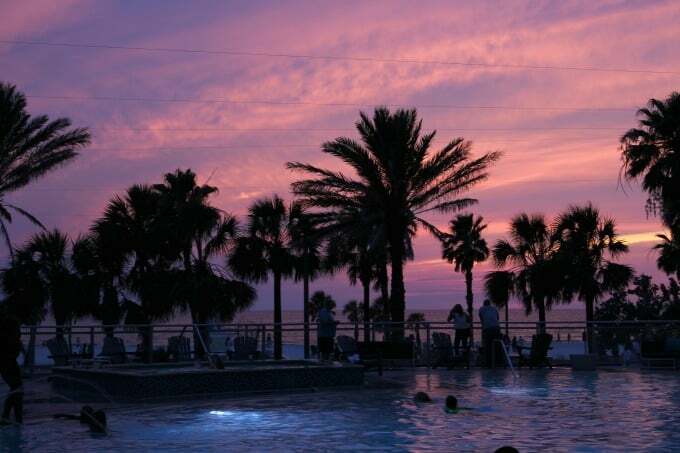 Though the Wyndham Grand Clearwater Beach is a luxury hotel, it’s has a laid back and relaxed atmosphere. The pool was filled with children and my youngest had three new friends within the first five minutes. It didn’t feel stuffy like some luxury hotel pools and nobody minded that there were so many kids. My girls definitely made themselves at home. Dock’s Pool Bar & Grill had plenty of food choices for kids, including hot dogs and mini pizzas. 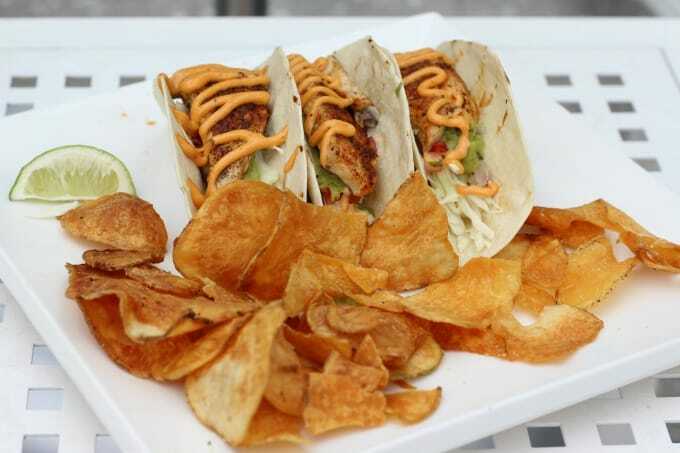 My oldest and I loved these fish tacos…they were just as yummy as they look! 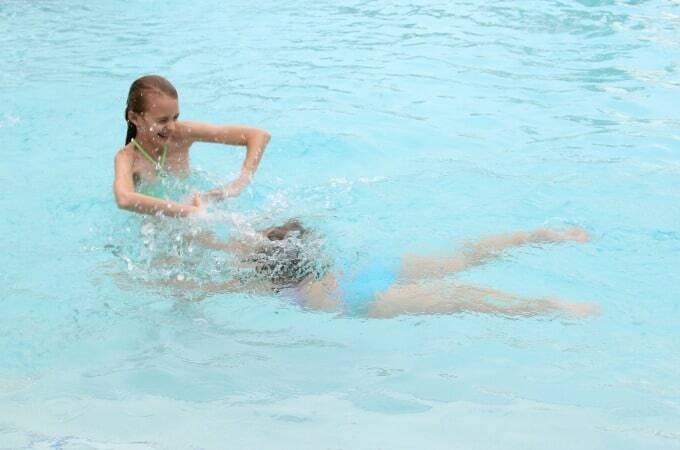 The only bad part about the pool was that my girls didn’t want to get out. When I wanted to head to the beach for the sunset, they begged to stay. They were so happy, how could I say no. Plus, this view isn’t so bad! Once the sun goes down, the Wyndham shows a dive in movie on the side of the building. I don’t know what it is but my girls think that watching movies from the pool is one of the greatest things ever. While we were there, the movies were Ferdinand and the live action Beauty And The Beast. Even I was excited about that last one! The next day, I convinced the kids to skip the pool for awhile and head to the beach. 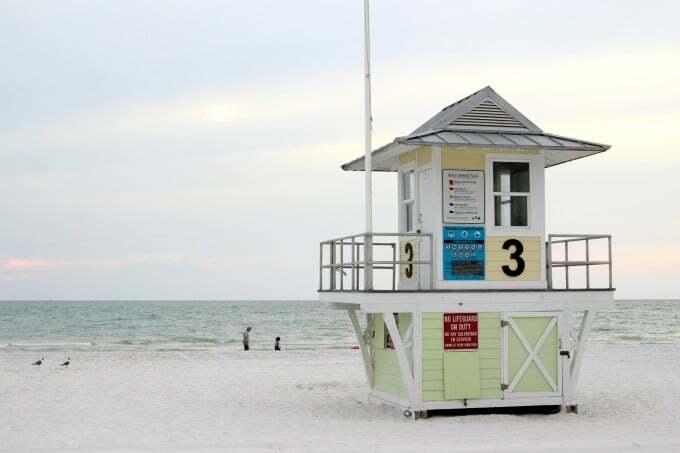 The Wyndham Grand is located directly across the street from one of the most beautiful beaches in the country. You don’t have to take my word for it though. 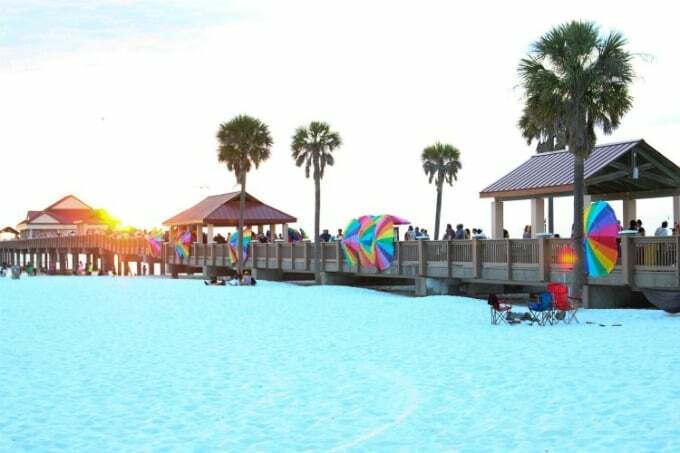 Clearwater Beach was just named America’s #1 Beach by Trip Advisor (and won a second award for being one of the top 10 beaches in the world). It was so nice that we could just step out the back door of the hotel and be jumping in the waves within minutes. This time I finally got to see the sunset from the beach too. 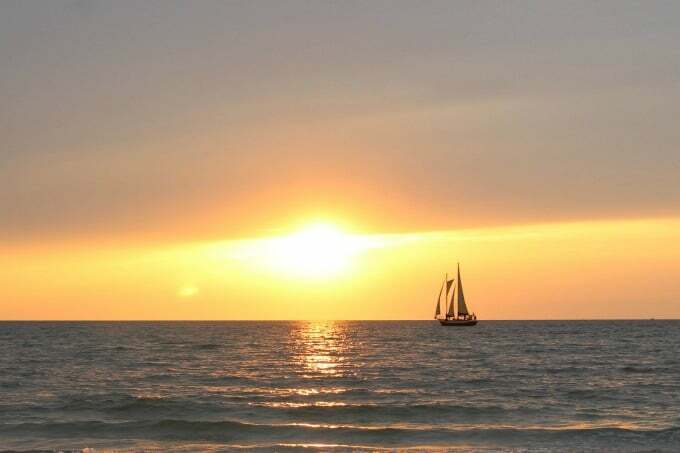 I never get tired of Clearwater sunsets! When I’m traveling with the kids, convenience is key. That’s why I absolutely love the location of this hotel. Not only is the beach just a short walk away, there’s a shop a few doors down that sells drinks, snacks, souvenirs…and wine! 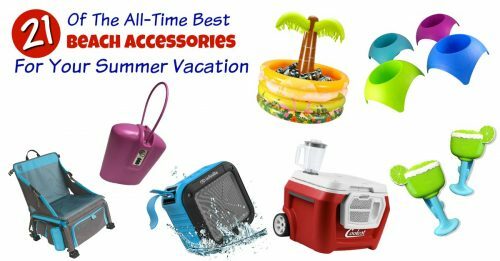 Everything we need for the perfect vacation. It’s also just a short walk to the Pier, where there’s a nightly Sunset Celebration featuring music, street performers and more. If you want to take a dolphin cruise or sail aboard a pirate ship, that’s just a short walk too. In fact, once we parked our car, we didn’t use it again until it was time to leave. If you really want to make this a vacation to remember, you’ll want to check out the Reconnected Experience. Your family will receive up to two adventure backbacks (though more can be purchased). These are filled with a stuffed animal, crayons, coloring and activity sheets and a book. 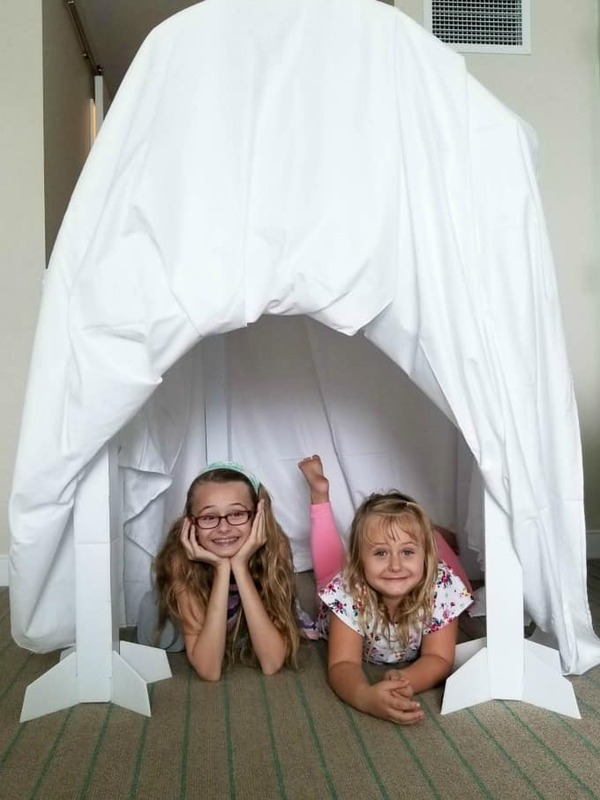 Lock your electronics in the timed lockbox and get started by building a blanket fort. Designed by award winning PellOverton architects, this fort was a little fancier than the ones I built as a little girl. 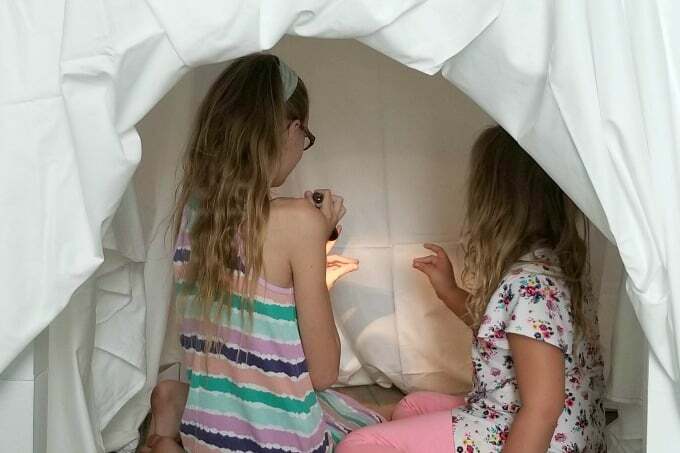 Once we built our fort, we used the flashlight and instructions provided to make shadow puppets. At bedtime, Keira decided that she wasn’t quite ready for the fun to end and chose to sleep in the tent. We made her a cozy bed and she was out like a light. The Reconnected Experience runs through September 3rd at select Wyndham properties. Want more details? Find out more in my full review of the Reconnected Experience. 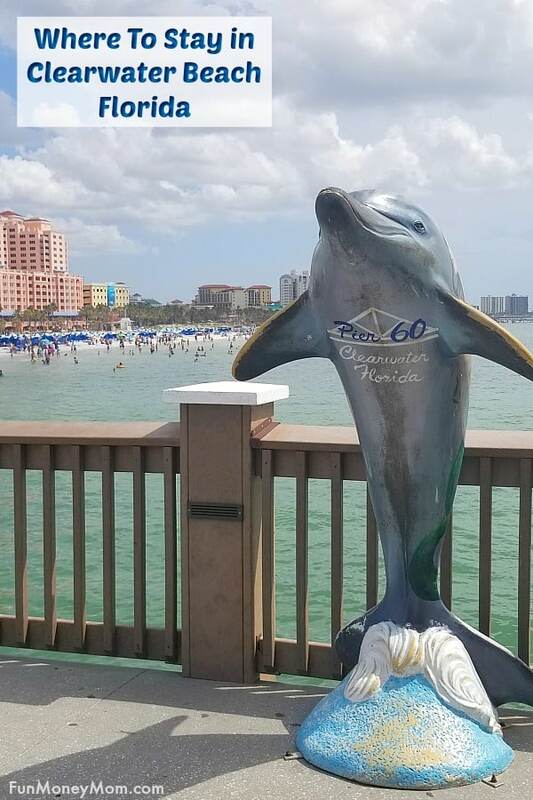 Wondering where to eat when you’re in Clearwater? These are some of our favorite local restaurants! Hey, such an interesting location. I would love to go there with my daughters and I am sure that they will enjoy it. This place wasn’t in my bucket list as I had never heard about it, but now after reading your post, I can’t wait to go there. Keep sharing such wonderful places. It’s one of my favorite places and the beach is absolutely gorgeous! There are other hotels but the Wyndham is our favorite! 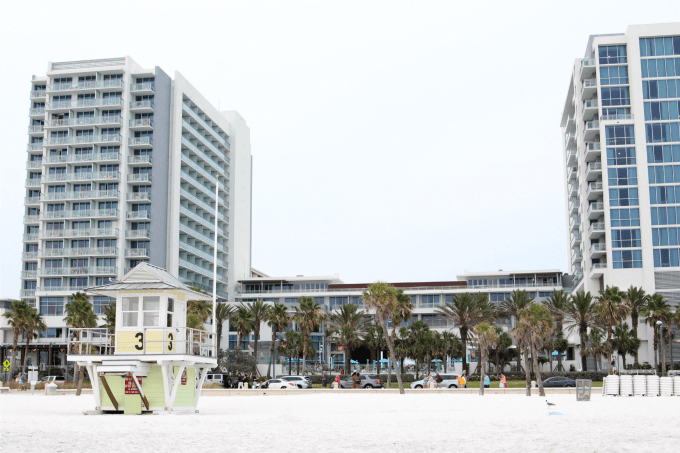 Not only is the hotel itself beautiful, but you have a great pool, easy access to the beach and it’s walking distance to plenty of stores and restaurants! In fact, now you’ve made me want to go back LOL!